Melbourne: Friday 24 August at Max Watts, 125 Swanston Street, Melbourne. 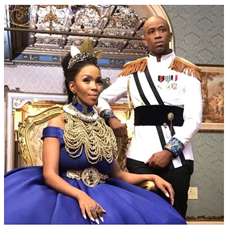 Afro pop sensation, Mafikizolo, one of the most popular duo acts to come out of Africa will be touring down under in August 2018, on the 24th at Max Watt’s in Melbourne and on the 25th at Metro City in Perth. Backed by an accomplished live band and energetic dancers, audiences can look forward to an energetic and unforgettable performance. Fans can expect the duo to perform old hits and new material in their maiden Australian tour, the likes of “Ndihambanawe, Love portion, Khona, “Meet Me At The River”to name just a few. Mafikizolo was founded in the mid-nineties by Theo Kgosinkwe, Nhlanhla Nciza and Tebogo Madingoane. Originally a trio, the group were quickly recognised for their unique style (visually and musically) and signed their first record deal in 1996. Their self-titled debut album was released in 1996 with three more albums following in quick succession. In 2000, the single Loot was remixed by international DJ and producer Louie Vega opening up doors for Western and European interest. The remix was so successful, that Mafikizolo took their first trip to perform on the international stage at the Miami Winter Music Conference. The band has since returned to perform across our borders and earned a huge following around the globe. Following a car accident in 2002, Mafikizolo dedicated their next album to God by naming it Sibongile (“We are thankful”). Fuelled by the crossover smash single Ndihambanawe, the album was a massive success and sold over 350 000 copies. Mafikizolo won multiple awards and continued to get invitations to perform all over the African continent and around the world. In 2003 the group released Kwela which featured jazz legend Hugh Masekela, and sold over 370 000 copies. Less than one year after this successful album, Mafikizolo lost one of their founding members, Tebogo Madingoane. Theo and Nhlanhla decided to continue to build the legacy and continue as a duo releasing two more albums and notable winning the 2014 MTV Africa awards. The two have established themselves as one of the best groups in the African music industry, winning the prestigious South African Music Award for Group or Duo of the year 3 times. Their latest album Six Mabone is currently a hit across Africa and beyond. Mafikizolo is brought to you by Millenium Promotions, a reputable Australian based promotion credited for bringing names from Africa since 2013.